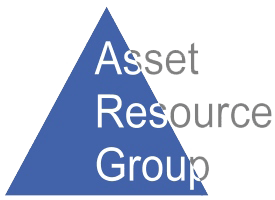 Manage front line asset management activities of existing and new portfolio investments. Support general portfolio management, acquisitions and client relations related activities. Develop and manage task list created from front line asset management activities. Lead team to execute all asset management support functions and processes. 5+ years experience including with an institutional investor, investment bank, infrastructure developer or owner/operator of infrastructure assets, asset manager or fund manager. Proficient in accounting, financial modeling and Microsoft Suite. Knowledge/experience with infrastructure (oil & gas, solar power, transportation, renewable energy). Provide full administrative support; track and maintain accounts receivables; property maintenance; lease files administration. Assist with monthly, quarterly and yearly reports; tenant correspondence; tenant invoicing; etc. Schedule/coordinate move in and outs, meetings, special events. Maintain Tenant and Vendor relations..
Command accounting, financial, operational and risk management functions of Pension Fund advisory firm. Develop core strategies with appropriate metrics for evaluation, as well as control systems for reporting and compliance necessities. Implement and maintain a best-in-class finance team, fully apprise clients of all financial matters, keep the CEO on his toes and help build and scale the growth of the firm instilling the best operational practices. You’ve served as a finance leader in similar type real estate group and preferably gained valuable knowledge of trust accounting and commingled fund investing. Your 10+ years experience, Accounting or Finance degree, preferably a CPA credential and willingness to trade a fast track for a work / life balanced group make you very desirable. This unique, finance organization mandates someone with superior financial acumen, ability to drive results, and astute analytical insight and perspective. From LA OR OC office be part of team that manages 7K+ units of affordable communities in multiple geographic locations. You’ve done this before (5+), know the players and acronyms: TCAC, CDLAC, HCD. Permanent supportive housing experience greatly desired.